Today sees the opening of the 3rd annual I Love Claims Conference at the Ricoh Centre in Coventry and EDM Group Ltd are pleased to be showcasing once again their claims management software Pulse. Pulse is a modern, mobile and innovative cloud-based claims management solution for the property repair, building restoration and emergency response markets that came about in 2011 as a direct result of EDM Group Ltd' experience working within the insurance industry. The main impetus behind Pulse was the need to streamline the entire claims management process, eradicating duplication of effort by ensuring that everyone has access to the information they need. All parties, from incident reporting and handlers to the management team, have easy access to all the data they need and when they need it. Efficiency is guaranteed with automated workflows that manage the handover of work from one area of the business to another, assigning tasks, notifications, escalations and claimant communications ensuring all parties are kept fully informed at every stage of the claims process. Driving the entire incident and claims handling process is the ability to configure powerful business orientated workflows that enable the automation of large amounts of administrative tasks needed to effectively manage the claims management process. Pulse removes the administrative burden out of the claims handling process. The solution provides one source for all claims related information, meaning no matter who is accessing or updating records, the information is always easily available to everyone who needs it, whilst providing claims handlers with all of the tools they need to efficiently manage each stage. Automated workflows, approvals and notifications so everyone knows what’s expected from them and when. It's fast and responsive which means claims data and reports are always kept up to date. Easily configured to meet your specific needs such as page layouts, approval processes, varying fields, validation rules and other automated workflows. Flexible reporting based on real-time data that can be scheduled to deliver notifications to relevant parties via integrated email. Enhanced security with limited access levels to certain data and features for relevant users. Intuitive navigation via accessible links on each screen for ease of use. More and more of claim handlers' time is being used to process emails relating to their claims. Whilst we previously had a way to log emails in the system, it was not integrated which made the job laborious and error prone. In version 4.0 we are proud to announce that we've finally made email a first class citizen. Not only have we made it easier than ever to send emails to anyone associated with the claim, but emails sent into a central claims inbox can be automatically associated back to their corresponding claim. Full audit history: It is now easy to make sure that all emails are being captured with the rest of the claim correspondence. Easily accessible claim contact details: We have made it simple to email anyone associated with the claim by providing intuitive suggestions whilst you type. Claim attachments: Files logged against the claim can be attached to emails with ease. Email queues for triaging of emails: Email queues allow the incoming email to be grouped for processing by users. Just like work queues this makes it easy to distribute the work involved in processing and responding to email. Automatic identification of emails to a claim: Emails being received into Pulse can be passed through our fully configurable processing logic. This allows custom rules to be created to identify emails into email queues or even directly onto the claim. Simple email triaging process: We have created new screens to allow users to review an email and if necessary associate it with a claim. Once associated the email contents will be logged in the claim history and any attachments added to the claim attachments. Flexible configuration options: We support a wide range of configuration options allowing you to take full control of the domain name and sender email addresses being used. It was important to us to respond to customer feedback that users dealing with very large and long running claims were finding it hard to quickly get up to speed with the claim history whilst fielding a call from the customer. So we set about creating a newly designed page that makes it easy for a user to see at a glance, the important events in the claims history. Filter events by type: The ability to filter the events listed to only the type that you are interested in. (Phone calls, appointments, emails, notes, tasks, KPI's and milestones). Key information organised chronologically: High level information allows you to see what has happened at a glance. Expand an event for full details: Allowing you to drill into the detail if you spot something that is relevant to the customer’s enquiry. Search filters are remembered for next time: When you return the event history will pick up where you left off, saving valuable time. One feature that we are very excited about is the new KPI queues available in version 4.0. This gives users new found visibility of the KPIs that are at risk of being breached and allows users to prioritise work appropriately based upon client's SLA's. For example, if we had 2 hours from creation of a claim to call the customer, we can now configure a KPI queue to show us all claims where this KPI is active. Flexible configuration options: Work queues can now be configured against one or more KPIs allowing them to reflect the team’s structure within the business. Queues can also be restricted by user type, making sure that users only see the workloads appropriate to them. Clear visibility over bottlenecks in your business process: By spotting queues where work is building up, and KPIs are at risk of being breached, managers can now see bottlenecks allowing them to allocate appropriate resource where it is needed. RAG Status for prioritisation of work: Claims are highlighted and sorted according to their status. Red for claims that have missed their KPI, Amber if the KPI is within a warning threshold and Green if the KPI is in progress but has plenty of time remaining. Email output from your claims management system needs to look professional as it represents your business to your clients and their customers (policy holders). So whilst making email truly integrated into the heart of Pulse 4.0, we have also given administrators full control over email formatting by allowing them to manage their own email templates. By teaming up with Mandrill (from the makers of MailChimp) we are able to offer customers their own portal to manage and edit HTML email templates using a world class editor. This is great news for marketing departments everywhere! You also get the ability to track the email being sent from Pulse, allowing you to see how many emails are being opened and track bounce rates. You may not be aware that in recent versions of the Google Chrome browser, Google are removing support for browser plugins. This means that for our Pulse customers with Chrome users the Java based file upload control has reached the end of its life. So we are pleased to announce an all new and improved upload control. The new upload control makes it easier than ever to add notes against your files, so no excuses for users not explaining what to look for in the photo. We now also support the means to drag and drop files straight onto the browser window meaning no more browsing around your computer looking for those elusive files. For an industry that trades on risk, the insurance sector is not surprisingly risk-averse when it comes to embracing new technology. Take claims management; still largely the same paper-based system that was used a century ago – computerised, yes – but definitely not in touch with the world of instantaneous messaging that has now become the norm. Although most insurance corporations recognise the value of innovation, moving over to a paper-free claims management system appears to be a risk too far. But there is an inevitability about technological change and about society’s expectations of its deliverables. Just look how mobile technology has changed the behaviour of a whole generation. So, seamless, intuitive, responsive and “always on” claims management will happen, it just remains to be seen who will move first and ride the wave; and who will be left behind. Embracing the latest claims software is going to drive efficiency. With the latest technology an insurer will not only be able to drive costs down, but will enter a totally new world where relationships with its customers and supply chain are transformed and where fast, friendly and responsive service is taken for granted. The business that gets this right will not only win over the new generation of tech-savvy customers but will be able to provide a product at a price and performance level their competitors cannot match. There’s going to be a period of transition, but nothing that good planning and careful choice of partners can’t minimise. Choose your provider carefully and the investment will soon be reaping dividends both in terms of time management and cost. Like the mobile phones and tablets that will become the conduit to this market, users quickly discovered they offered intrinsic value that more than made up for their high cost, and made them look cool into the bargain! It’s interesting how changes in the insurance industry have been largely driven by external factors, such as disasters and freak weather. Even way back in 1666 it was the Great Fire of London that was the driving factor behind the formation of the first English insurance company set up to deal with the aftermath of the blaze. Today we’re seeing an increasing surge in extreme weather, entire counties submerged in water, hurricane force winds ripping whole communities apart, and again this puts the spotlight on the insurance claims industry. In order to survive and thrive in a post-crisis environment it’s critical to have a system in place that meets with everybody’s needs and that responds quickly and efficiently. The key to keeping up with increased demands for efficiency has to be a claims system that is an end-to-end solution, fully web-based (and therefore accessible from the cloud), fully mobile which supports claims virtually anytime, anywhere, from any device. The system must allow users to scan documents/signatures, images, photos, upload video evidence and manage external financial accounting online. Additionally, work to be carried out needs to be allocated to the relevant providers in the right geographical location, and everybody within the supply chain needs to be able to see the status of other work so as to best manage their time and resources. With insurance, people want to buy the peace of mind of knowing their risk is covered. For insurers, the issue is how to do this profitably and efficiently. It doesn’t have to be the case that innovation and insurance are only found together in the dictionary, there are plenty of options out there for those who are willing to embrace technology and change. Pulse, from EDM Group Ltd, is a cloud-based claims workflow system that manages claims through the entire insurance claims lifecycle. From FNOL to final completion, our software offers organisations a comprehensive overview at every stage of the claims workflow, ensuring complete transparency for all parties concerned. With claims being a critical part of your business it’s important to have a reliable system in place to optimise management processes, scoping, communications and payments – allowing policyholder’s lives to get back on track with the minimum of fuss. This April EDM Group Ltd will be launching Pulse Version 4.0 which has a number of significant enhancements that have come about as a result of feedback from our customers and our continual investment in the platform. The main addition is the introduction of integrated email. Previously claims administrators had to manually import critical information received via email such as reports, surveys, images and other associated documentation, but that’s all changed. Pulse now offers an outbound/inbound email capability that saves all correspondence against the claim, making it easy to keep claim files fully updated with no need for re-keying. Relevant parties can both receive and send emails including attachments from/to Pulse, speeding up the entire claims handling process and offering full transparency across the board. “Email communications with our customers, corporate clients and their third party representatives have increased by 500% over the last 24 months. It is critically important that our claims workflow system recognises the shift towards different preferential communication channels as opposed to the traditional letters and telephone calls. The new email integration in Pulse will provide us the efficiency improvements we need to maintain our high levels of responsiveness in dealing with our customers” Jorge Gonzalo, COO, MA Assist. We’ve also upgraded our mobile readiness and interfaces to mainstream estimating systems enabling Pulse to be easily integrated with existing systems through a powerful suite of Application Programming Interfaces (APIs). These APIs have been cleverly adapted to recognise language, currency, time zone and local address format – so no matter where you are in the world, Pulse has the capacity to improve your claims handling. Dankav, a leading Australian reconstruction specialist, were thanking their lucky stars that they’d installed Pulse last year. As Cyclone Marcia hit the east coast this February they were well placed to deal with the surge in claims thanks to some nifty claims management. With heavy rain and winds in excess of 125mph, Marcia caused some substantial damage but with the new technology in place Dankav were able to handle a considerable increase in claims. “The future for claims workflow systems is becoming a lot clearer. Email integration is a critical function in allowing claims management companies to maintain their competitiveness. Pulse is ideally placed to leverage the growing use of mobile technology and the desire of Policyholders to do as much online and via email as possible – rather than hanging around in IVR queues.” commented Chris Hall, Chief Digital Officer at EDM Group Ltd.
We can arrange for a quick and simple introductory demo to take place at your convenience, just give us a call to set up the best time for you. Using the very latest web based technology to deliver major benefits throughout the entire claims’ lifecycle EDM Group Ltd has now released Version 3.3 of Pulse, their innovative claims management software. First developed back in 2011, we have made it our mission to regularly update and improve what was the first cloud based claims and job management software designed specifically for the property, restoration and emergency response markets. Pulse technologies not only unify the claims process, but strengthen management of scope and pro-actively control all cost elements to enhance the customer experience – whilst reducing costs for insurers. There’s real momentum building as insurers, adjusters and contractors seek to enhance their collaboration in property claims handling to eliminate wastage and drive savings. Pulse offers all parties a single view of the claims data, whether they are in the office, on the move or on-site with a policy holder or contractor. This latest release reflects the commitment from EDM Group Ltd to continually provide its customers with a leading-edge claims management system that will in turn reduce the claim’s life-cycle, improve policy-holder satisfaction and ensure delivery of a seamless customer journey. As the country gradually dries up after the storms and relentless rain of last winter, we are all counting the cost. The victims, whose homes lay in the path of rising flood waters or coastal storms, the insurers who face huge compensation claims, the supply chain whose staff are still working around the clock to fix the damage and, of course, all of us regular policy holders who now fear escalating premiums. But, even with the gift of hindsight, it is hard to see how the insurance industry could have managed any better. The uncertainty and stress inflicted on policyholders, some of whom had to take up temporary accommodation, highlighted the need to avoid delays in claims handling at all costs. But the supply chain supporting Insurers was already stretched to the limit, and had been before the worst of the winter’s onslaught arrived. While claims management companies flexed their internal and external resources, they also had to manage policyholders’ expectations sympathetically, setting realistic goals despite many seeing their predicament as hopeless. Questions such as ”When can I return to my property?” “What is my insurance company doing about this?” “Will they cover all the damage?” and “What will my premiums be next year?“ were racing through their heads as they struggled to cope with the situation. There hadn’t been an insurance claim surge like this since the floods in 2007 and, if the doom-mongers are to be believed, these events are going to become a more regular occurrence. The aim must be to deliver a response that matches the expectations of policyholders with the capacity and capabilities of the supply chain and the resources of the claims management companies all with least cost to future premiums. But, if you can adopt a system that allows you to handle additional claims without incurring huge costs or having to take on extra staff and that works for the restoration and construction business, ultimately the policyholder has to be happy with the outcome. Even though the IT systems used in the claims management process are secondary to everyone’s thoughts in these times of need, it’s vitally important that they can also flex to cope with the additional strain. Here at EDM Group Ltd we’ve developed Pulse, a cloud-based claims workflow system, which has a number of in-built features to help accommodate a surge in claims. Here’re the Top 10. On-site assessment through mobile technology enabling suppliers to be brought to bear quickly and efficiently. With great communication and expectation management features everyone from the Insurer/Client, Loss Adjuster, Supplier and Policyholder will be kept up-to-date. Policyholders’ concerns and expectations can be managed transparently, they can even use the self-service tracking option. Suppliers can quickly change their operating region to focus on geographical areas of need. Suppliers can quickly and easily add extra staff to cope with an increase in claims and be confident that they can operate Pulse without lengthy training. Suppliers can utilise secondary skillsets to help in an affected area without experiencing problems with the software. Completely new suppliers can be quickly and easily vetted, trained and added to the system. Workflow, set by the Insurer, can be flexed by varying approval and audit rules. Insurers and their partners can adapt the rules to suit a policyholder’s wishes, whether that be for a resolution or a cash settlement. Diary management capacities can be flexed to reflect operatives working overtime and extended hours during a surge. Without wanting to be the voice of doom, if these extreme weather fronts continue to batter our shores on a more regular basis, we need to be prepared. And it’s not just winters that are the problem, there’s already mumblings from the Met Office that this summer is going to be a real scorcher and, after all the wet, this could mean a spate of claims for subsidence as the ground tries to adapt. If you’re in the business of claims management and are struggling to cope with the additional workload, wasting time juggling paperwork, repeating unnecessary tasks and generally getting that sinking feeling, then take a look at Pulse. It could be the buoyancy aid you need to stop your business drowning in the next claims surge. A leading Australian disaster reconstruction specialist is to transform management of its insurance claims, using a powerful new online application that will cut claim cycle times dramatically. Dankav, a flood, cyclone, fire and storm reconstruction firm operating across eastern Australia, has adopted Pulse, a formidable, web-based claims workflow application from UK e-business solutions developer, EDM Group Ltd.
Pulse is a cross-platform web solution that streamlines insurance claims management by allowing claims to be progressed online, even enabling claims data, such as surveys, photos and video evidence collected onsite with mobile devices to be added in real time. Custom work queues keep claim cycle times down to a minimum by organising the workforce optimally into teams, with all stakeholders in a claim updated dynamically online. EDM Group Ltd were able to customise Pulse to meet Dankav’s unique requirements, integrating the application into their existing systems using a powerful, built-in API integration suite. 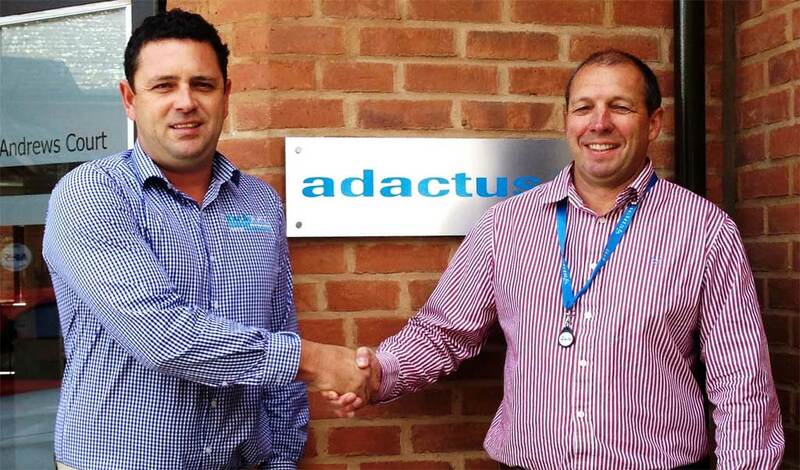 “EDM Group Ltd has produced in Pulse a claims handling application that is far superior to any other package in the market place today,” Daniel added, seen here on the left of the photo above, shaking hands with Chris Hall, Chief Digital Officer at EDM Group Ltd. This new strategic partnership will be the second foray onto Australian soil for Oxfordshire-based office of EDM Group Ltd who, in 2009, implemented an online ordering solution for Pizza Hut Australia following the success of enterprise eCommerce systems developed for Pizza Hut UK. “Pulse will give them visibility across all their work in progress, eliminating inefficiency and increasing throughput capacity without the need to take on additional staff.” Chris added. Independent Group (UK) Ltd has agreed a 5 year contract with EDM Group Ltd to provide the technology to handle over 100,000 claims per year with their highly renowned claims management software, Pulse. Having devoted considerable resource to improving compliance and service to policyholders, IG recognises that Pulse offers a full suite of capabilities; including systems integration, logistics, mobile applications, data analytics, call centre services and consumer facing interaction. With the new technology in place, IG expect to increase output and efficiency by up to 20% on previous years whilst also benefitting from the flexibility that Pulse offers by putting the client at the centre of their business. With Pulse software solution in place tracking every claim from start to finish, providing visibility right across work in progress, IG can expect to eliminate inefficiencies and increase throughput capacity without adding staff – a huge benefit to not only the company but equally to the homeowner.